Beautiful Bungalow, RV Parking, Heated Garage! Wow, A Perfect Gem, Just Move In! You’ll Love the Presentation, the Beautiful Bright Open Floor Plan, Hardwood Flooring and Natural Lighting. Excellent 1,226sq.ft. 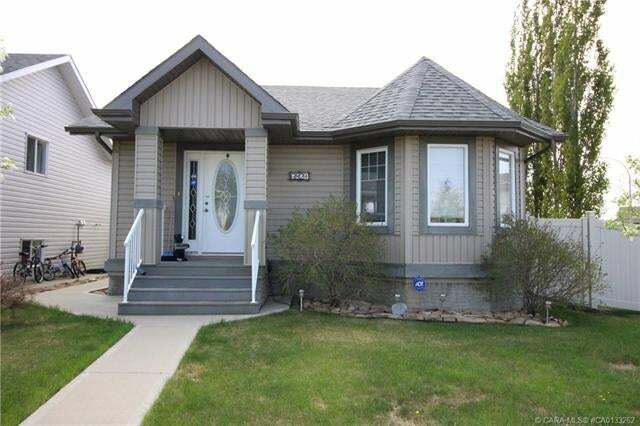 4 Bedroom Bungalow home with everything you need on the main floor! Features a superb kitchen with lots of cabinetry, breakfast bar and WI pantry. Spacious dinette with easy access to private deck, a great place for BBQ’s and Relaxing. Lovely and bright living room with large bay windows. Superb Master with WI closet and Ensuite with soothing jetted tub. MF Laundry! You’ll Love the basement development, the spacious family room with cozy gas fireplace and built-in sound system, large games area, two generous bedrooms, large bathroom and storage room. Control 4 home system for music, media, temperature and lighting. Awesome Low Maintenance Yard, Nicely landscaped, vinyl fence, deck, garden shed, double attached HEATED garage and more! It’s All Done, Just Move In!